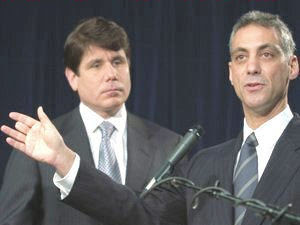 ARRA News Service: Chicago Politics Now In Washington - "You don't know nothing!" Chicago Politics Now In Washington - "You don't know nothing!" Lois Smith, ARRA Member: Before proceeding, I must clarify "I know nothing," and after you read this "you will also know nothing." I am married to the ARRA Editor, and I can assure you that "he knows nothing either." After listening to the only remaining fair and balanced news channel, I have wondered what is going on in the minds of the people in the Obama Administration? We now have: bailouts, stimulus spending, government run auto companies, apologies to everyone, and trillions of dollars in debt. It is obvious that they "know nothing." Yesterday I received the following "don't know nothing" email. My husband, the editor, tried to tell me that he had seen it before but "what does he know? -- right, nothing!" So, in case your email has not been blessed with this, the following will help "you know nothing." 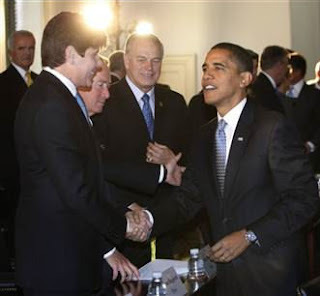 Consider the situation of Impeached Former Illinois Governor Rod Blagojevich who is accused of trying to sell the Obama seat in Congress. 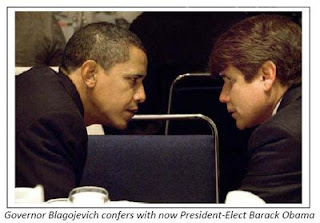 Barack Obama said: "I only saw Rod Blagojevich one time ... and that was in the stands and from a distance at a Chicago Bears Football Game"
Unscripted Teleprompter : Dang! Why uh-uh, where did that uh photo come from? 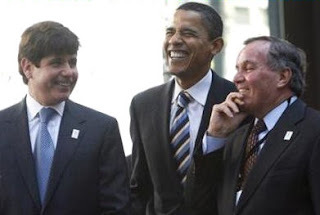 Rod Blagojevich (Democrat), Barack Obama (Democrat), and Richard M. Daley (Democrat - Mayor of Chicago since 1989) during a rally in Chicago , April 16, 2007. To understand the Obama Administration, you have to understand Chicago Politics. The Illinois Constitution actually sets forth different rules for Cook County, e.g. Chicago, and the rest of Illinois. Sort of a State within a state. There are only three rules which anybody needs to understand. You don't even need an attorney to understand them and if you need an attorney, well, you know too much . . . so look out for Rule #3! RULE #1...No matter what you see, hear, or do, you don't know anybody and you don't know nothing! RULE #2...If you capture something on tape or camera, it doesn't reveal nothing! RULE #3...If you know what everybody knows in Chicago, well, you still don't know nothing. Now pay close attention! We don't want to have to say this more than once. It's very simple.....we'll illustrate. Remember, you know nothing. These two? They don't know each other! They said they didn't. The fellas in the background of this picture? Well, what fellas? We don't see nothing! The guy on the left? For all you know he's Santa Claus. And the guy on the right . . ...well, he's the Easter Bunny! That's all you need to know. Go to your eye doctor...your eyes are lying to you! Ca'pish? Now, ain't that simple? They don't know each other, 'cause they said so! and neither do we! And don't forget it! P.S. If you pass this on to your friends, don't forget, you know nothing and they will know nothing. Tags: Lois Smith, ARRA, bailouts, Barack Obama, Chicago, Chicago politics, political humor, Rod Blagojevich To share or post to your site, click on "Post Link". Please mention / link to the ARRA News Service. Thanks! As a native Chicagoan, I saw this coming even before Sen. Biden dropped out of the primaries after finishing almost dead last. From dead people voting to precinct captains filling out absentee ballots and illegal aliens voting, this is how it's done in the city of the weak shoulders. Thanks to opiates for the masses, there's rarely an outcry and the Democrats win time after time. Republicans are not just non-existent in Chicago but more extinct than the Dodo bird. Sorry to say, you've only had a small teaspoon of Chicago politics to date and there's no Mary Poppins to give you some sugar to make the medicine go down. Jay you really aren't alone. We pundits like to analyze our presidents and so, as Barack Obama deals with difficult problems ranging from health care legislation to upheaval in Iran, let me offer my Three Rules of Obama. First, Obama likes to execute long-range strategies but suffers from cognitive dissonance when new facts render them inappropriate. . . .
Second, he does not seem to care much about the details of policy. . . .
Third, he does business Chicago-style. . . . From Chicago, he brings the assumption that there will always be a bounteous private sector that can be plundered endlessly on behalf of political favorites. Would someone please provide the source for Obama's alleged statement, "I only saw Rod Blago once..." To satisfy my right wing fanatic friends, I've done research, and as far as I can tell, Lois simply made it up. Maybe it was just a faulty recollecction. We all have them. And I bet the blog admin deletes this post and we never get an answer. "john in grapevine" may never get his answer since "john" never identified his contact info. I don't understand "john's" problem. Lois clearly identified in her post: "Yesterday I received the following "don't know nothing" email." I even received the same email. She did not take ownership of the actual email. She did a great "tongue-in-cheek" post. As proven true, truth is often displayed in humor. Heck, based on the photos, I believe Obama clearly had a close Blogo connection. But then again, "I know nothing." My apologies to Lois. She did indeed state that she had received that email. I'm just trying to track down the source of the quote. My good friend had sent me the same email and is convinced the quote is accurate. I would have hoped everyone would have seen it as tongue in cheek, but surprisingly a lot of people believe that quote as proof that Obama's a liar. I'm sure Bill is right about the close relationship, since it's pretty much impossible for a senator to avoid contact with his home-state governor, let alone the city politics. But I don't know nothin neither. This is a little long, but it connects the dots politlcally. 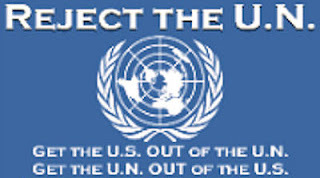 In the middle is the reason for the Illinois gun control laws.